STRATEGIC MONEY MENTORING FOR A SUSTAINABLE & PROFITABLE BUSINESS. EVERY SMALL BUSINESS OWNER CAN BENEFIT IMMENSELY FROM THE KNOWLEDGE, CONNECTIONS AND EXPERIENCE OF A GOOD MONEY MENTOR. Many business owners and entrepreneurs believe that they have to bear the burden of getting their businesses off the ground by themselves. In truth, successful leaders have advisers helping them along their paths to prosperity, and you can have that too. Working with a qualified and experienced money mentor will help you achieve your financial goals easier, faster and with greater profits. We look outside of the norm, and see the gifts and strengths in you and your business. Our views and approach to business money management and profit generation are deemed pioneering in comparison to the norm of the industry. Our money mentors work with clients to maximise their profits and develop money management strategies to grow their business. We look at profit and business finances from a perspective that you wouldn’t expect. Our team includes two certified Profit First Professionals that work with clients to implement and manage the Profit First money management methodology. This strategy helps businesses of all sizes and offerings to build sustainable and profitable businesses, reduce debt, and ensure the owners get paid! Profit First works! Want to know more? Send us a message, we love to talk about how great it is to anyone who’ll stand still for 2 minutes! We simply love to work with clients to help them succeed through strategic accounting and business management. Our bookkeeping services help clients manage and understand their business finances to determine the profitability of their business. 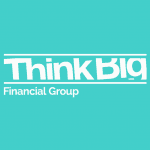 Think Big ensure that Profit is a priority enabling our clients to grow their business in a sustainable way and be successful. Our certified Profit First Professionals have a passion for enabling business owners to build sustainable businesses by mentoring clients in how to generate profit, structuring systems for financial success, and earning the income they deserve. Working as your money mentor we build a close relationship with not only you, but with your long-term goals and current cash flow systems and opportunities. We then put short-term goals and plans in place so that you can see (and stick to!) the path to realising your bigger financial vision – whether that’s a personal vision, business goals, or both! And we like to work with our clients for the long haul, keeping you on track and optimising your money plan to accommodate for any of those curveballs life likes to throw at you along the way.